There’s nothing quite like the look of an elegant and warm-looking wood garage door to set off the front of your home. In terms of curb appeal, timber has it in spades. There are hundreds of designs to choose from and if you have the budget, you can get a completely unique, custom-designed door. If you are thinking about investing in a wooden door, there are a few important things to consider before you buy. One of the most important factors in your choice of wooden garage door should be the species of wood used in its construction. Popular species used in garage door construction are Hemlock, Cedar and Redwood. You can also get doors constructed from oak, fir and walnut. Cedar and Redwood garage doors are a sensible choice if you live in a rainy or damp climate. These materials also look great if you already have Cedar or Redwood siding on your home exterior. Matching the siding with a garage door of the same material is a great way to add a cohesive appearance to your home. Make sure you find out about any specific building code requirements in your locality. For example, in some coastal locations, garage doors over 10 feet in width must be constructed with Hemlock stiles and rails. Hemlock is a good choice of material if you plan to stain your garage door. If you intend to paint your door instead, wood garage doors with MDF or MDO panels make it easier to get the best finish, without any roughness or flaws. 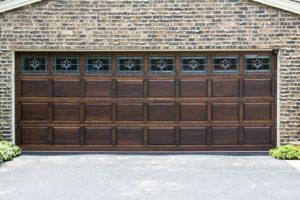 Garage doors constructed of wood do require a bit more maintenance than other materials. It’s important to bear that in mind. However if you’re prepared to put in just a little effort, the beautiful appearance of natural wood makes the small amount of work worthwhile. Just remember that if you neglect this maintenance, your door won’t look so attractive after two or three years and may even develop problems with opening and closing. The most important thing is to protect your wood garage door from moisture. Before installation, your garage door should be primed and painted, or stained. The stain or paint should be of a high quality and should repel water. It should also be mold, mildew and UV light resistant. The extra investment in a good quality finish for your door will prevent any warping, rotting, cracking or fading. If you prefer not to finish the door yourself, you should be able to purchase one that’s sealed, stained and ready to go from a good garage door supplier.This initial protection represents the bulk of maintenance work you will need to do. After that it’s just a case of repainting or staining your wood garage door every three or four years. For enhancing the curb appeal of your home, wood is a practical and attractive option which will last for years if you protect it. If you have a garage door opening that is not of a standard size, wood is probably your best choice as it’s possible to customize the door construction. 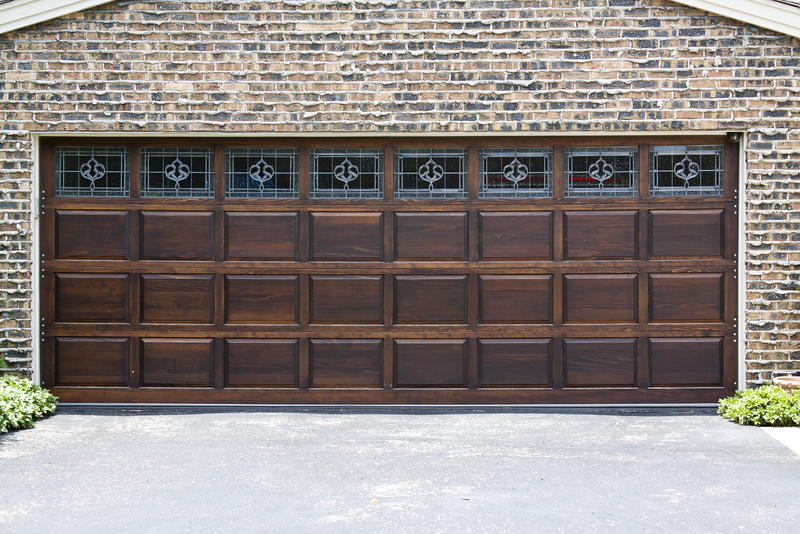 Customizable, adaptable and attractive, what’s not to love about wooden garage doors? 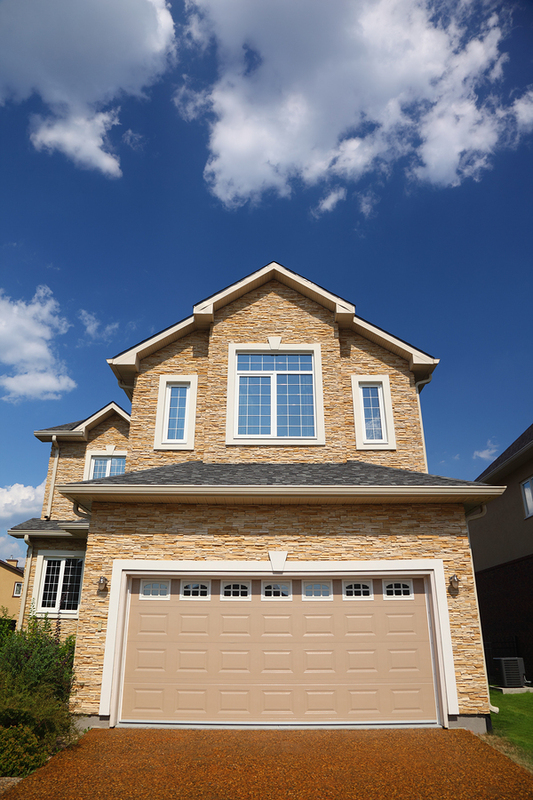 A new garage door is a long term investment, meaning you only get one chance to get it right. Among the things you should consider when choosing a new door for your garage is the material from which it’s made. With developments in manufacturing technology, the range of available materials seems to grow ever wider. Which of the following materials will you select for your new garage door? Wooden timber has been used for door construction since before coach houses became garages. Wood is still a very popular choice for modern garage doors and with good reason. A well-painted or stained garage door looks beautiful and wears well. You can also change a wooden garage door’s appearance when you fancy a change of scene. All you have to do is sand it down and apply a new finish. As with any timber-constructed object, the only disadvantage is susceptibility to pests and water damage. Of course with the right treatment and a little maintenance you can protect a wood garage door against wildlife and the elements. 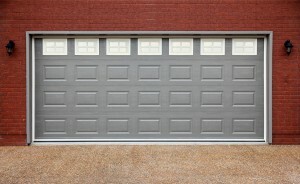 Low maintenance, durability and price make steel garage doors probably the nation’s most popular choice. You can paint your steel garage door any color or even make it look like wood. Be careful not to go too cheap when choosing a steel door though. Paying a little more is worthwhile if you don’t want your kids putting dents in the door with their basketball. Also, if you live in a coastal region, remember that steel can corrode. Garage doors constructed wholly of aluminum are not cheap. However their life expectancy is greater than doors made of other materials. With laminated panels and a heavy duty frame, an aluminum garage door will stand up to plenty of punishment and will not rust. At the same time, aluminum is light in weight, so your door won’t put too much stress on your automatic door opener. At the other end of the price spectrum, you can get a garage door with an aluminum frame, but with panels constructed from high-density polyethylene. This type of garage door will cost you a lot less and still has low weight and high durability. A fiberglass garage door is usually constructed with a steel frame. Two fiberglass layers are normally bonded to the frame with insulation packed between them. Rust will never be a problem with a fiberglass garage door, so this might be a good choice of material if you live near the ocean. Fiberglass doors don’t dent. They can be broken under hard impact though, so remember to open your garage door before reversing your car in. For the ultimate in low maintenance garage doors, you might like to try kid-proof vinyl. 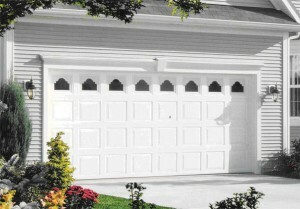 A relatively new option for garage door construction, vinyl panels are generally affixed to a steel frame. Extremely damage resistant: Be sure about your choice of color when you buy though, you can’t change the color of a vinyl garage door. From beautifully finished timber, to virtually indestructible vinyl, you will find a garage door material to meet your needs and budget. A local garage door installer will be able to help you if you need more advice relating to your environment and climate. An insulated garage door makes the temperature in your garage more comfortable, acts as a buffer against street noise and can help reduce energy bills. If your garage door isn’t insulated, you might be happy to know you can actually insulate it yourself. Installing garage door insulation isn’t difficult and doesn’t take long. Before you install though, you need to decide which material you want to use. As with everything, each type of insulation has its pros and cons. The toughest part of your DIY project will probably be choosing the material. To help you make the decision, here’s a brief overview of the three options. Reflective foil insulation is sold on rolls. The total thickness of the material is around an inch and a half. You can purchase either single foil or double foil insulation for your garage door. The material consists of a layer of polyethylene foam sandwiched between two layers of aluminum foil. Double foil insulation has two layers of foam. This material insulates well, it’s only drawback being that it’s not very attractive visually. Polystyrene foam insulation is sold in large sheets which will need to be cut to fit in the panels of your garage door. It’s a little tougher to work with than foil because of its rigidity. It is however, a better insulator than reflective foil. These kits come with about 8 pre-cut panels which fit inside the channels of your garage door frame. The panels can either be made of fiberglass or plastic laminated polystyrene. Of the two materials, polystyrene offers the higher insulation. Fiberglass panels are more resistant to water and mold. Both types of panels look good and installation is easy and fast. You should be able to insulate your garage door with a panel kit in around an hour. This is probably the best option if aesthetics are important to you. There are a few things you should think about when deciding upon garage door insulation material. In particular, the weight of insulation is something to be mindful of. 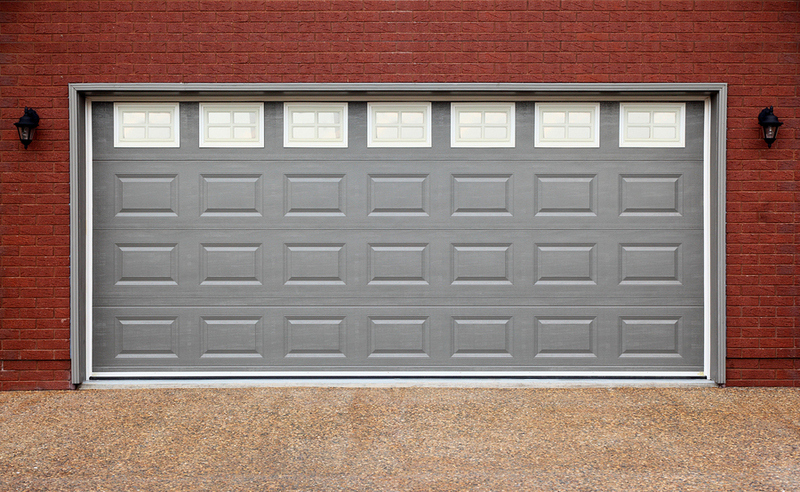 The extra weight may affect the operation of your garage door. You may need to contact a garage door technician to rebalance the springs after you install the insulation. Another thing to consider is something called R-value. This is the rating given to a material according to its insulating effectiveness. Ideally you should obtain material of the highest R-value that you can fit inside your garage door panels. Under no circumstances should you use spray-in insulation or fiberglass batt insulation. Neither of these insulating materials is suitable for use in garage doors. Also, don’t try to place insulation over the springs of your garage door. Doing so may affect your ability to open or close the door. Once you have decided upon the right insulation material, the remainder of your garage door installation project should be a piece of cake. After an hour or so of labor, you’ll have a cozier, more energy efficient garage to show for your efforts. Does your garage door make a racket when you open and close it? If so, you can probably cure it yourself and have it opening and closing quiet as you like within an hour. Follow this simple, step-by-step guide to find the source of noise and put an end to it. Tools: Socket set, assorted screwdrivers, adjustable wrench, wrench set, stepladder. Materials: Replacement hinges, nylon rollers, garage door lube. 1) Tighten all the nuts and bolts on the garage door and the track hardware. Use a socket and ratchet for this and be careful: Over-tightening can strip the bolt threads or pull the bolt heads through the door skin. 2) Check all the garage door rollers for wear and identify any that need replacement. 3) Replace the rollers one at a time. To do so, unbolt the hinge and tilt the roller out of the track in which it runs. While the hinge is off, check it for wear. Metal filings or gray dust around the hinge pin are sure signs of wear. If you see an oblong shaped hole where the tubular hinge pin and the hinge bracket mate, you should definitely replace the hinge. Replace the worn roller with a new nylon one and then re-install the hinge or fit a new replacement. Warning – If your garage door is mounted on torsion springs (most of them are), do not try and replace the rollers on the bottom-most hinge brackets. These are under tension and can seriously injure you if you unbolt them. Call in the professionals if the bottom rollers need changing. 4) If your garage door has an automatic opener with a chain mechanism, check the chain for tightness. A loose chain creates a lot of noise. If the chain is loose, follow the opener manufacturer’s manual for the correct way to tighten the chain. 4.1) If you have an opener with a track drive, use some grease to lubricate the track. Squeeze a large amount of grease onto your hand (wear gloves), then wipe it onto the track. Operate the opener a number of times to spread the grease onto the trolley and along the track. 4.2) If you have a screw-drive garage door opener, grease the threads of the screw thoroughly. 5) Use the garage door lube to spray the springs, hinges and roller bearings. Also spray any other pivot points on the door or opener. Remember to repeat this lubrication every six months to keep your door running smoothly and quietly. Your garage door should now open and close quietly. Remember to call in a garage door technician if you need the bottom rollers or hinges replacing.